Today, I want to talk about two things. First, I want to say something about my outfit which I was wearing yesterday. It was so fluffy and I kind of felt like a teddy bear. 🙂 I was wearing a super cozy faux fur jacket from Zara and I matched a beige knitted sweater with it. 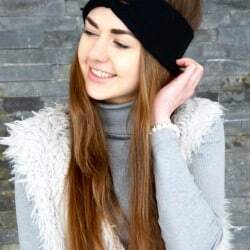 On cold days – and it was really freezing – I can’t live without a scarf. In this look I wrapped up myself in a very long one and it had a lovely camel brown color. To give the whole outfit a little contrast, I kept the rest of it dark. I matched some black suede pants (so comfy!) and biker boots. I don’t know why exactly but this outfit kind of reminded me of dreaming – you know, fluffy, cozy and dreamy 🙂 – and how important it is that you dream. It doesn’t really matter if you dream of a big career in Hollywood, for a nice house by the sea or of a classic Chanel bag. Everybody has another dream but the most important thing about it is that you really dare to do it! Don’t worry if it doesn’t seem reachable at the moment – some day maybe it will. If not, something better will come around. 🙂 And let’s face it, there are a lot of crazy dreamers out there! Actually, all those visionaries like Coco Chanel, Steve Jobs or Marie Curie were like super dreamers. But, they all helped us to make this world to the place it is today. So, what I want to say is, whatever you dream of – don’t stop! In the end, those dreams motivate us all in our entire lives. They give us hope when everything seems to go wrong and – the most important thing – dreams make each of us to a unique person. You know, just because everyone has another dream. Down below you can see more pictures of my dream-inspired teddy outfit. 🙂 Share your thoughts and tell me what you dream of. Have a great rest of your day my loves. Enjoy your time and dare to dream big! Posted in Looks and tagged Accessories, Blog, Classics, Comfy, Cozy, Dream, Enjoy, Fashion, Faux Fur, fluffy, Happiness, Inspiration, Style, teddy, Things to love, Tips, Trend, Winter 2016, Zara. Bookmark the permalink. ein sehr cooler Hintergrund, der sich so schön im Boden spiegelt! Und ein wirklich kuscheliger Look. 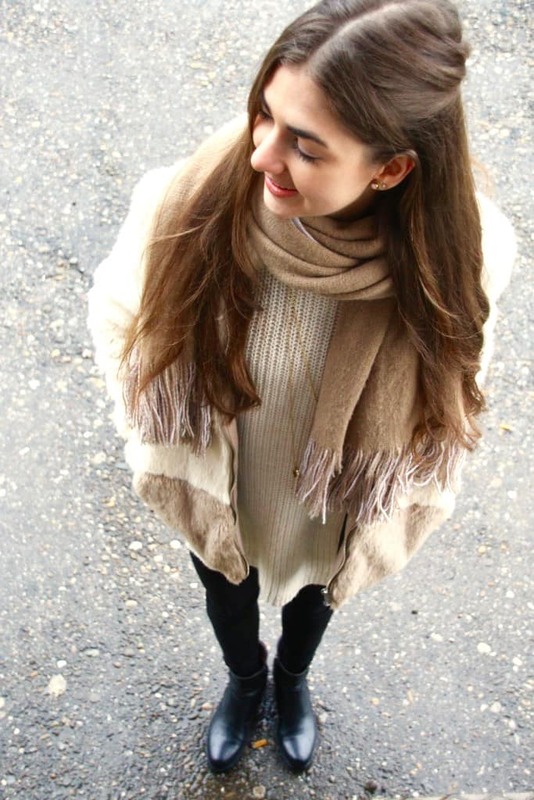 Loving the pics and your look is so warm and cozy! You’re ready for the very cold! Toll schaust du aus. Die Jacke sieht so gemütlich aus. I’m so in love with your outfit! You look absolutely adorable and fantastic! Thank you so much that’s so sweet! This furry coat is to die for! I have always been into big fluffy or furry coats and love that they have been extremely popular this season. I love how you kept your look really casual with a knit to go underneath your coat. 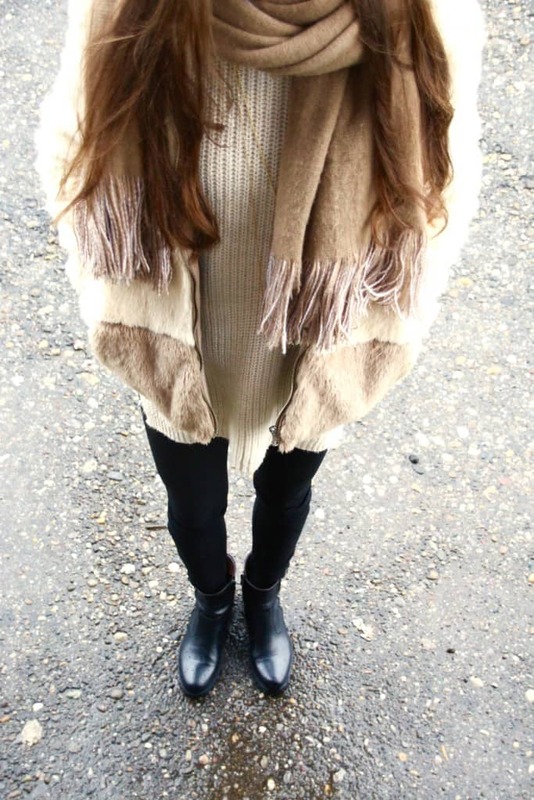 It is very cute but also perfect for extra warmth, so you can’t go wrong. I am also loving these booties. Great look! I seriously love your blog and I am loving this whole offit!! It’s simple yet trendy!! Anyways I hope you had an amazing and fantastic day today! ? ☺ ? Don’t follow your dreams. Chase them! Lovely cute and adorable coat!